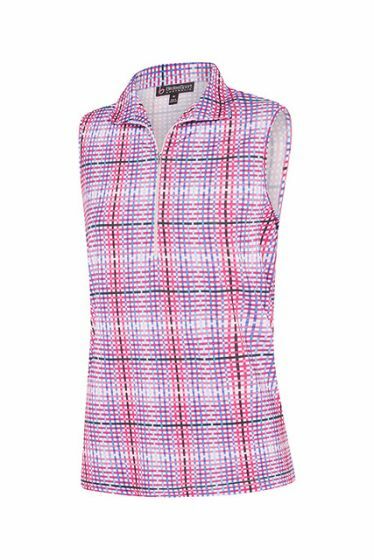 Lovely sleeveless women's shirt from Australian sportswear designer Birdee features a neat collar with quarter zip and a fun and flattering print, and no sleeves for comfort in the heat. A great item to brighten up your travel wardrobe. Designed for active pursuits, Birdee garments are versatile, lightweight and compact, and through layering make perfect travelwear.